March 23, 2017, Colleyville, TX—Madison Advisors—Madison Advisors today announced that senior analyst, Gina Ferrara, will be speaking and sharing insights on the importance of inbound customer communications and the value of a CCM Center of Excellence at Xploration 17, Xplor’s 2017 annual conference, March 28-30 in Orlando. Ferrara will present the breakout session, “Inbound Communications are Critical Too” on Tuesday March 28 at 4:30 p.m. The session will challenge the myth that mastering outbound communications is all that is required to achieve the best possible customer experience (CX). Her presentation will cover why outbound communications only represent half of the complete CX picture and discuss the critical importance of considering inbound communications, as well how one impacts the other, particularly when it comes to customer service interactions. Ferrara will also present “Create a CCM Center of Excellence” on Wednesday March 29 at 4:30 p.m., which will offer best practices and concrete steps for establishing a CCM Center of Excellence (COE) to help companies deliver on their overall CCM strategies. The session will explore the five “Ws” involved in the creation of a COE: When should a CCM COE be established? What roles and responsibilities will the COE have? Who needs to be part of it? Where in the organization should this group report? Why is a COE necessary to deliver on a CCM and CX strategy? Both sessions aim to help attendees address the entire document lifecycle, improve workflow processes and enhance the customer experience. 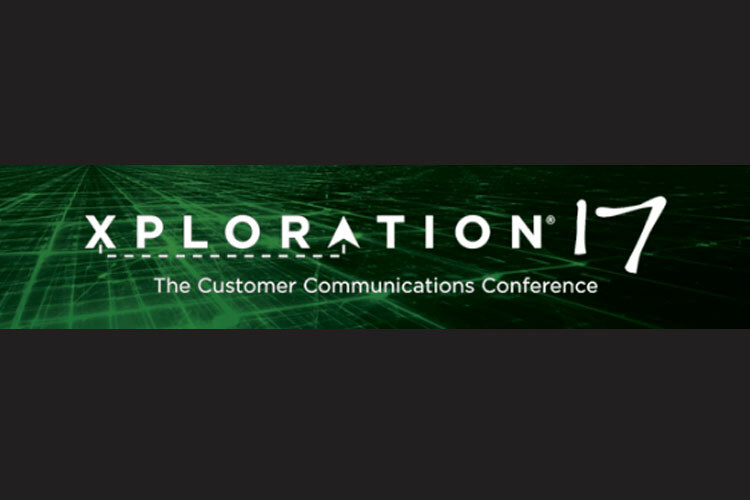 For more information on Xploration 17 visit this link.